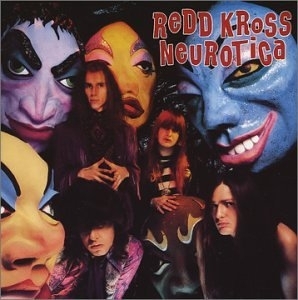 1987,Redd Kross's LP ,Neurotica was released.I bought it on vinyl when it came out,still have it,this rip is from my LP.All the crackles are intact for that warm analog feel.They always had,and still have,that groovy 70's vibe,like a modern-day Partridge Family.Their look,sound,and attitude is total 70's worship,which ,like,somebody has to carry on,right? 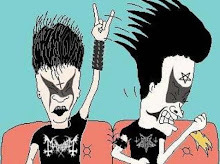 No one does it better than these guys.I also tacked on several tracks they did on the "Lovedoll Superstar" soundtrack,some with the Lovedolls, one by themselves,and one under a different name,where they are nearly unrecognizable.My friend Jeff "Fred" McDonald,passed away last year,and he coincidentally had the same name ,(and he looked identical,nearly,bottom right corner dude,yep,that's him! ), as one of the brothers on this LP,so this goes out to him,and I posted this as a request from Vance Burdge,my good friend,who could not find this masterpiece online,(I have since tracked it down on youtube).Good times for all,I cannot disagree! On a side note,the masks pictured on the front (and back) cover ,were previously used in one of the many 60's surf movies,Frankie and Annette,I believe the masks were in a haunted house ,maybe at a carnival or amusement park? I can't remember the name of the flick,but I have it on vhs,and have watched it,and all those goofy surf movies,multiple times.Fun fact. 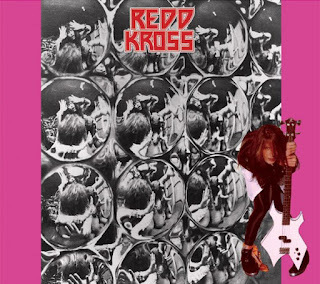 Also Ihave lots more Redd Kross stuff on this blog,including,out-takes and demos from this here LP,also Red Cross demos ,first album,as well as other sundries and surprises.